John Sculley, former Apple and Pepsi CEO, denies sacking Steve Jobs, relishes the moment Pepsi marketing surpassed Coca-Cola and believes established brands like McDonald's could never stand for a noble cause. Speaking at the Socialbakers Engage conference in Prague last week and during an interview with Marketing, former Apple and Pepsi CEO John Sculley discussed his time at both businesses, straightening out rumours he’d sacked Steve Jobs and promoting his new business Obi Mobile, which he describes as being founded with a ‘noble cause’. It was experience marketing, not product . We had a Grandmother and Granddaughter do the Pepsi challenge which involved a card table and two cups, they did a taste test and we didn’t reveal until after. We had cameras on both, the Grandma took two sips then revealed what she had chosen to the Granddaughter. "Grandma you picked Pepsi!" said the Granddaughter and the Grandma replied, "Never had a Pepsi in my life, I guess i like Pepsi better." It had added authenticity, it was all about empowering consumer. What I have learned is that if you really want to build a multi billion dollar company, you have to take advantage of the power shift. Mobile, cloud, data technology has cauced a shift of power to consumers from incumbent companies. Consumers pay more attention to the opinion of other consumers. It was my first real message that hit home; marketing is all about stories. Someone described to me that when they had family and friends over and they would serve them a soft drink, if it was coca cola they would take the bottle and pour in front -of them, but they would pour Pepsi in the kitchen. I said, "We got a problem, how do we get people to talk about it in their voice?" We didn’t have social but we did believe in people sharing. We surpassed Coca-Cola by taking a shift to respect the opinion of the consumers. Steve [Jobs] was interested in experience marketing. [His vision was to] create a computer for non-techies that will be the greatest experience that anyone’s ever seen. He said, you’ve got to teach us how to do that. At that stage no one in hi-tech did marketing. It was really his vision of saying ‘someday computers will be personal and advertised same way cola was’. [Steve Jobs] had to step down from running Mac for being disruptive. He was never fired; he took a sabbatical and stood down as chairman of board. He was demoted but not pushed and was taken off Mac and he never forgave me for that. I used to sit with Bill Gates and Steve Jobs and they would be talking about having a noble cause and they had the same noble cause; to empower knowledge workers with productivity tools. Bill and Steve, not either one ever talked about making money, they always started with a noble cause. The only difference is that Bill was all about software and Steve the reverse, he was about user experience for non-tech people. It is hard to change the culture of a company that is large and established. Even though it is challenging to start a company, it is much easier to create a culture around a noble cause than it is to replicate it at a large established company. For example, look at McDonald's. It is the largest food service company in the world but whether it can convince people it has a noble cause, I have no idea. Some businesses are just really hard to create a noble cause around. You could start a new food company that is all about nutrition and healthy living and wide access to a quality of food experience you’d never had before. That’s a noble cause. It is very difficult to retrofit a noble cause; in fact you’d have to be very suspicious of someone who was retrofitting a noble cause to an established business that’s never had one before. 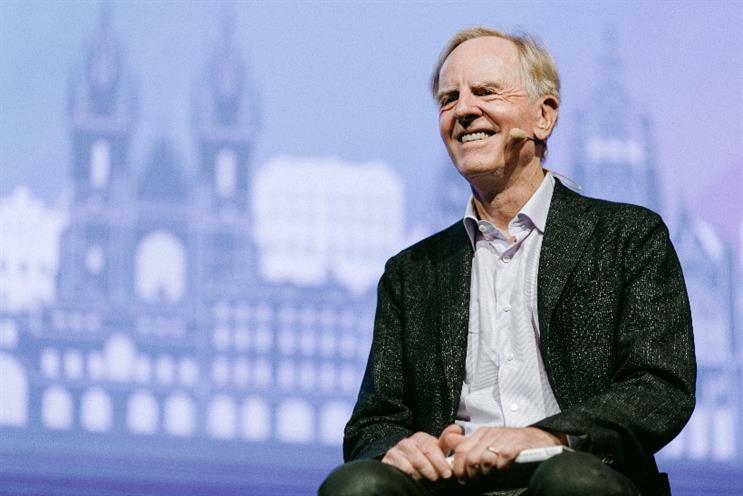 John Sculley has recently published a book called Moonshot, which is about the game-changing strategies he learnt in building billion dollar businesses. He is also leading a team to build the first Apple-like design-led mobile business that is affordable for developing markets called Obi. He believes that providing higher-end but affordable devices to developing markets will provide them with the connection needed to gain access to better funds and services, thus founding the business on a ‘noble cause’.